Of Gardens & Dreams is the curatorial direction established by Shophouse & Co for Our Gallery at Taman Jurong - Singapore’s first residential public art gallery located at Taman Jurong. 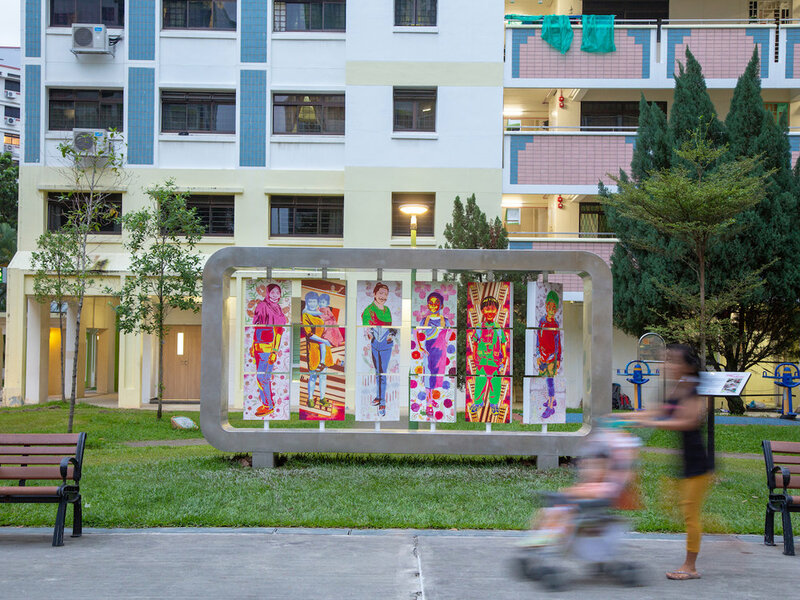 These co-created artworks which are installed at HDB void decks and spaces across the Taman Jurong celebrates the legacy of the neighbourhood, its connectedness with nature, and its residents’ progressive and lively spirit. In 2018, Shophouse & Co was appointed to revamp the collection, commission two new artworks, and create a self-guided trail to encourage residents and public to explore their neighbourhood. A special curator’s trail was also organised for Singapore Art Week 2019. Scroll on to see all the details! Our Gallery at Taman Jurong is Singapore’s first residential art gallery which aims to engage Taman Jurong residents in visual art projects that are facilitated by established artists, promoting exchanges and fostering appreciation for the visual arts. 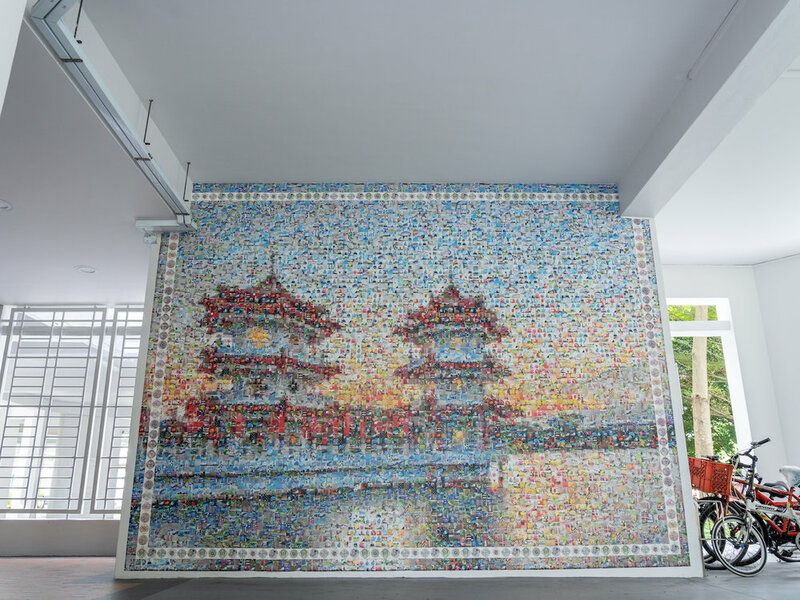 This has resulted in co-created artworks, installed at HDB void decks and spaces across the Taman Jurong neighbourhood. This programme is part of the National Arts Council’s Arts and Culture Nodes initiative which aim to bring people together to participate in, enjoy and experience the value of the arts in their neighbourhood. The collection is curated by placemaking studio, Shophouse & Co. The National Arts Council’s island-wide network of arts and culture nodes is developed for people to come together to participate in, enjoy and experience the value of the arts in their neighbourhood. This Arts and Culture node is in partnership with People’s Association and the Taman Jurong Community Arts and Culture Club. Originally a site covered with plantations, Taman Jurong transformed into Singapore’s first industrial estate over the years. With Jurong Lake just next door, gardens and nature has always been a key identity of the neighbourhood — “Taman” is also Malay for “Garden”. In addition, the street names reflect the community’s love for nature and aspirations for a greater future: Yung Ping Road translates to “eternal peace”, Yung Kuang Road to “eternal bright” and Yuan Ching Road to “scenery of gardens”. “Of Gardens and Dreams” celebrates the legacy of Taman Jurong, its connectedness with nature, and its residents’ progressive and lively spirit. It has always been a place where dreams are made of, with the pioneer generation dreaming about a better future as they first moved to Taman Jurong. This vibrant energy is translated into a series public art in the neighbourhood which have been co-created with local artists and the community, leaving behind past narratives and a look into the future that has yet to be set. To celebrate the beginning of the updated collection, a special curator’s trail was organised for Singapore Art Week 2019 on 19 January 2019. The trail featured recently commissioned artworks from the Our Gallery at Taman Jurong collection, and street art pieces from NAC’s Noise Singapore initiative, Noise Urban Arts in the Neighbourhood. A special self-guided trail brochure was created featuring artworks from Our Gallery at Taman Jurong; artworks that commemorate the heritage of the local hawker cultures; the nation’s 50 years of independence; street art pieces from NAC’s Noise Singapore initiative: Noise Urban Arts in the Neighbourhood; and other community landmarks! It is available for free and can be collected at Taman Jurong CC. You can also download it at the link below! 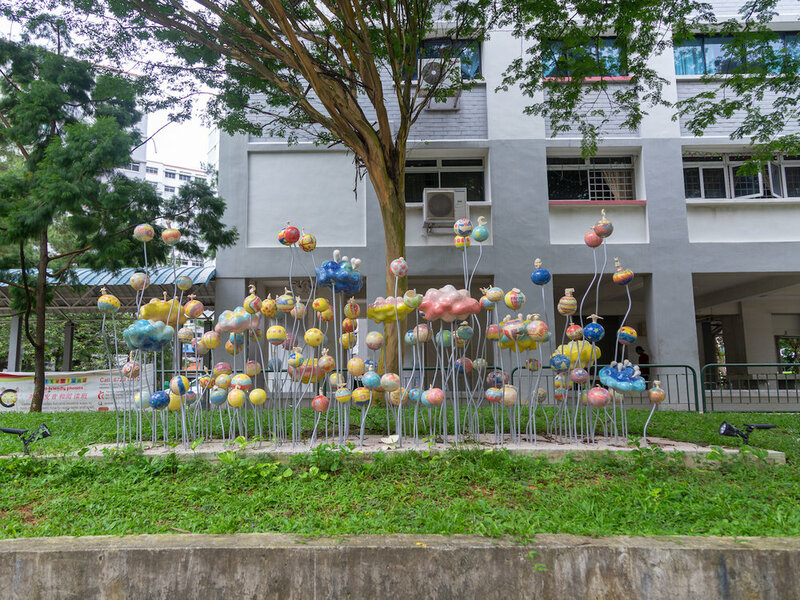 Two new artworks for Our Gallery at Taman Jurong were commissioned in late 2018 to bring the collection to 18 pieces of public art located around the neighbourhood. All the artworks were co-created with the local community and bears the resident’s unique interpretations and contribution to the area. Marked Stones is a floor mural artwork featuring stone-shaped outlined patterns and markings that have been co-created by Taman Jurong residents and artist, Juls. Strategically located at the staircase landing of Block 330 opposite a key entrance to Jurong Lake Gardens, it also serves as an anchor point to welcome residents and visitors into Taman Jurong and a visual representation of the residents’ vibrant spirit and their stories. Each organic form symbolises each resident’s story and the vibrant spirit of the neighbourhood’s art. The spontaneous line and stroke markings surrounding these forms are what Juls described as “Automarktic”. Going somewhere! is a dusty-red sculpture encrusted with terracotta ceramic pieces created alongside Taman Jurong residents. Each ceramic piece bears images derived from memories the residents have of living in their neighbourhood. The sculpture is shaped like a children’s drawing of a bird, symbolising the community taking flight with their dreams and recollections. It also serves as a pedagogical tool for art teachers in kindergartens and primary schools in the area. As these young students engage in the lessons, they partake in generating new narratives of their neighbourhood and the future of the Jurong Lake District.